We spend a lot of time educating our clients. We ask each new client to attend our workshop, “Making Medicare Decisions”, which describes the differences between Medicare Advantage Plans and Medicare Supplement Insurance Plans. Because Medicare Parts A and B don’t cover everything, and can potentially leave you open to unlimited hospital bills, we recommend that our clients choose one or the other plan type. Medicare Advantage Plans have Maximum Out of Pocket Limits. This means that if you get a serious medical condition, you will have a limit on what you will have to pay for covered services. This is one of the best reasons to choose a Medicare Advantage Plan over original Medicare Parts A and B. Many Medicare Advantage Plans include Dental Benefits, either as a value added service, or as an additional paid for benefit. Original Medicare does not provide dental benefits. Many Medicare Advantage Plans include Vision Benefits. They might include frames, contact lenses, or just the eye exam. Since Original Medicare does not provide any vision benefits, this is an advantage over Medicare Advantage and Medicare Supplement Plans. Original Medicare and Medicare Supplement Plans do not provide any benefits for hearing. If you need a hearing aid and have original Medicare, or a Medigap plan, you will get no additional help for this item. Many MAPD plans, however, include a hearing benefit as part of the plan. Many Medicare Advantage Plans will include Silver Sneakers, Silver n Fit, or a similar gym program with their plan, or the ability to purchase the plan. Original Medicare does not offer a gym membership, although some Medigap plans do. If you have Original Medicare, and need a Skilled Nursing Facility (SNF) stay, you must have a 3 night stay in a hospital as an inpatient before Medicare (or a Medicare Supplement Plan) will pay a dime. Some Medicare Advantage Plans allow their members to stay in a SNF without having a 3 day stay in a hospital as long as their primary care physician orders it. Original Medicare does not provide transportation to and from the physician’s office. If you are unable to drive, or need some assistance, you will have to pay for this out of pocket, or have a family member assist you. Some Medicare Advantage Plans offer transportation benefits, which can help when you need assistance getting to and from the provider’s office, or to pick up your prescriptions. Some MAPD plans offer discounts on over the counter items if you use their in network pharmacies. This is never offered with original Medicare. If you are on Medicaid, you can get a Special Needs Plan plan where your benefits between the two plans are coordinated. 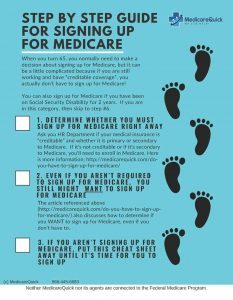 This is not offered with original Medicare and you must have a Special Needs Plan plan in order to get coordinated benefits. In general, Medicare does not cover any care while outside the USA, except in very rare cases. Many MAPD plans offer emergency coverage while you are traveling in foreign countries which is more comprehensive than original Medicare. Many Medicare Supplement Plans also offer a foreign travel benefit as well. If you would like to get more information on how to choose a Medicare Advantage Plan, or if you would like to have someone review your options with you, please give us a call at 866-445-6683 or contact us here.